10th annual River’s Rally is Saturday, May 4th. 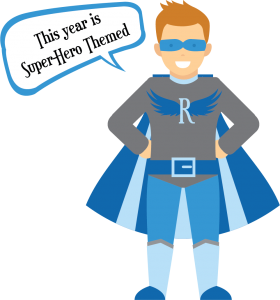 We will continue with last year’s Super-Hero Theme! River is a super hero to so many as he continues to help countless individuals and families in various ways. In keeping with this theme, we are encouraging participants of the 1 mile walk to dress like their favorite hero – either legendary super hero or everyday real-life hero. From Superman to Firefighter, we would love to see it all! Prizes will be awarded for best-dressed individuals (based on age group) and best-dressed family/group. Everyone is welcome! The event also includes breakfast, kids’ games, raffles, lunch, live auction and a grand prize drawing. All proceeds will go to Faith’s Lodge, The Compassionate Friends and River’s Uplift.